Designed by Carolyn Kinder International, the Rocca Wall Clock is crafted with antiqued iron and is large, lean and classically simple. Dimensions: (42″d x 3″); Materials: 90% Iron 10% Mirror; no assembly required; Battery Type: AA. Available to trade professionals at IMAXCorp.com. 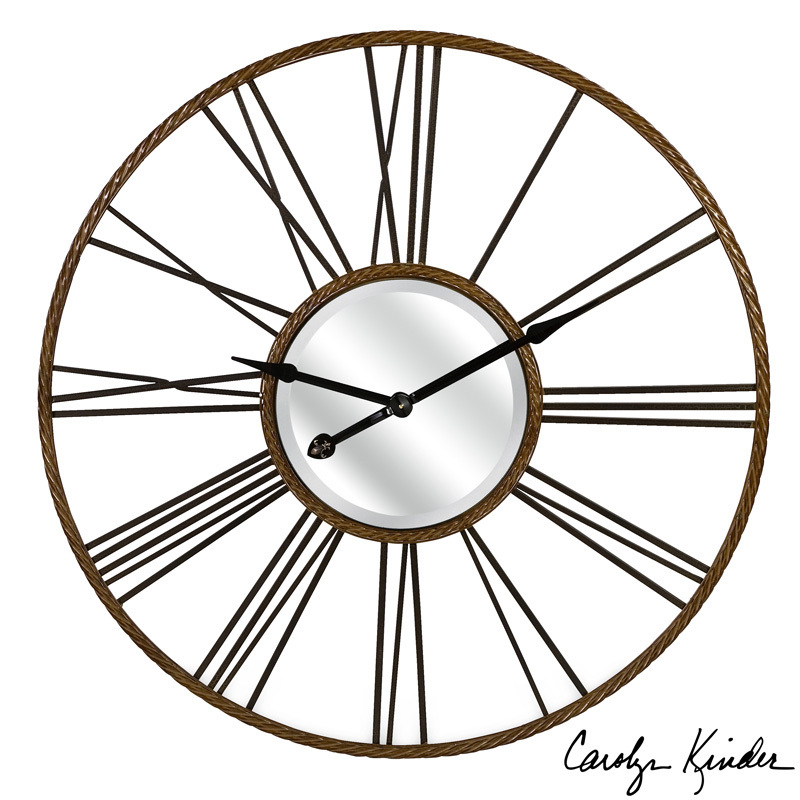 For retail purchase Google search term “Carolyn Kinder Rocca Wall Clock”.